Russian Foreign Minister Sergei Lavrov and US State Secretary John Kerry discussed issues of the Syrian settlement and preparing for an upcoming ISSG meeting, according to ministry spokeswoman Maria Zakharova. 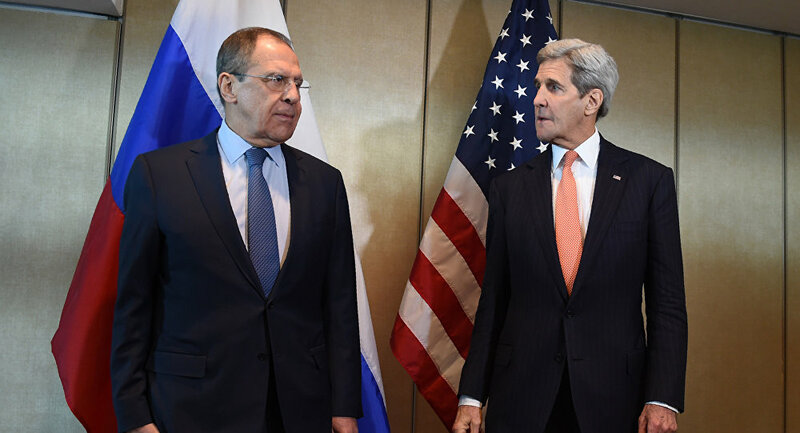 MOSCOW (Sputnik) – Russian Foreign Minister Sergei Lavrov and US State Secretary John Kerry discussed a possible ceasefire in Syria and providing access to humanitarian aid during a meeting in Munich, ministry spokeswoman Maria Zakharova said Thursday. The International Syria Support Group (ISSG), co-chaired by Russia and the United States, is scheduled to convene in Munich on Thursday to uphold commitments toward a political settlement of the Syrian crisis. 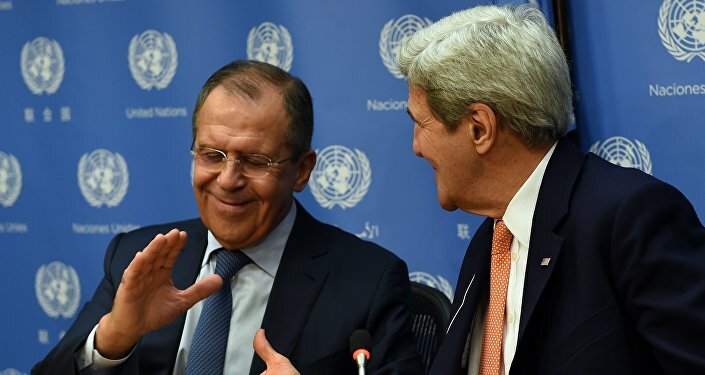 "The meeting was entirely devoted to issues of the Syrian settlement and preparing for an upcoming ISSG meeting. The issues of a ceasefire and the delivery of humanitarian goods were discussed," Zakharova told the NTV broadcaster. The spokeswoman noted that the process was "only the beginning," and that Lavrov and Kerry tasked their expert teams to continue working in that direction. ISSG was formed in November shortly after the beginning of the Syria peace talks in Vienna as an international format aiming to resolve the Syrian crisis. On December 18, the UN Security Council adopted resolution 2254, reaffirming the goals of the previous Vienna deals to bring the entire spectrum of political groups in the crisis-torn country to the negotiating table. UN Special Envoy for Syria Staffan de Mistura said less than a week after the launch of intra-Syrian negotiations that the talks in Geneva would be temporarily suspended until February 25.